According to the Center for Disease Control, each year about 4,000 people drown in the United States. Drowning kills more children 1-4 years of age than anything else, except birth defects. Among children ages one through fourteen, drowning is the second leading cause of unintentional injury or death (after motor vehicle crashes). Being aware of the risks and learning some life saving techniques will keep you safe at the beach. In the perfect world, every child would have a designated adult supervising them at the beach or pool, but two children is a comfortable number for one adult to supervise. Any more can become overwhelming and increase the risk of something going wrong. In the movies, when someone is acting out a drowning scene they wave their arms and scream for help. In real life, drowning is, for the most part, a silent act. Once a person goes into distress mode, they are fighting for two things: air and keeping their mouth above water. My first experience witnessing the onset of a drowning occurred at my family pool when I was about ten years old. My much younger cousin was in two feet of water, bent over at the waist. It looked he was looking at his feet or the bottom of the pool but something didn’t seem right. When I lifted his head out of the water, he began vomiting and crying, he had been stuck. In a case I investigated, witnesses reported seeing a young girl bobbing her head up and down in the water. She had drifted from the shallow end of the pool into water above her head and was pushing off the floor of the pool to get air because she could not swim. She was saved, but nearly drowned. If something in or around the water doesn’t look right, it likely isn’t. 3) Set Up by a Lifeguard - No Lifeguard, No Lifeline. 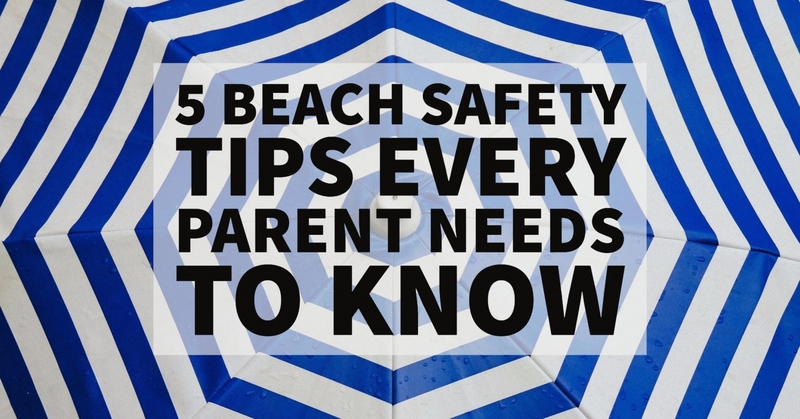 Set up your stuff near a lifeguard station so that if you venture into the water with your children there is an extra set of eyes to watch over you and your child. Don’t allow this to replace your diligence, but rather supplement it. Your child is your first responsibility. Going to the beach or pool is a social event. If you’re caught up in a conversation, keep your face and your eyes on your child. Mishaps and accidents can occur very quickly and with a mix of children and water, seconds matter. Keep your hands glued to your babies or toddlers at all times. If at the beach, keep an eye out for rogue waves. Chat with the lifeguard in advance about any dangers you should know about. Ankle deep water can quickly become a hazard if you are not paying attention. Outfit your child with bright colored beach wear. Know your limitations and educate yourself on riptides. While you are on child watch duty turn the cell phone off, and keep the iPad or book out of your reach. Your local fire, police, recreation department or gym and health club often sponsor certified CPR courses. You will not realize its value until you need it! Steve Kardian is an American career law enforcement officer, detective, sergeant and chief criminal investigator, who specializes in crime prevention and risk reduction for women's safety. Kardian is the author of The New Superpower for Women and founder of Defend University, where he trains thousands of people each year on safety and self-defense, as well as strategies and tactics uniquely tailored to women's safety.